Our days will be spent engaged in hands-on building and learning with natural materials. 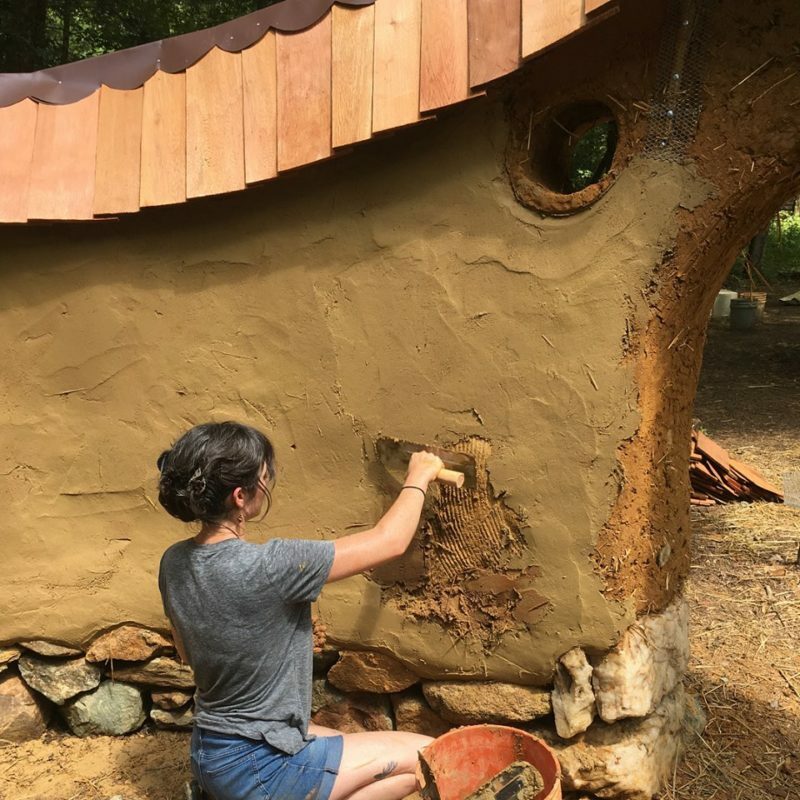 Our project is the completion of a straw bale and earth cottage. 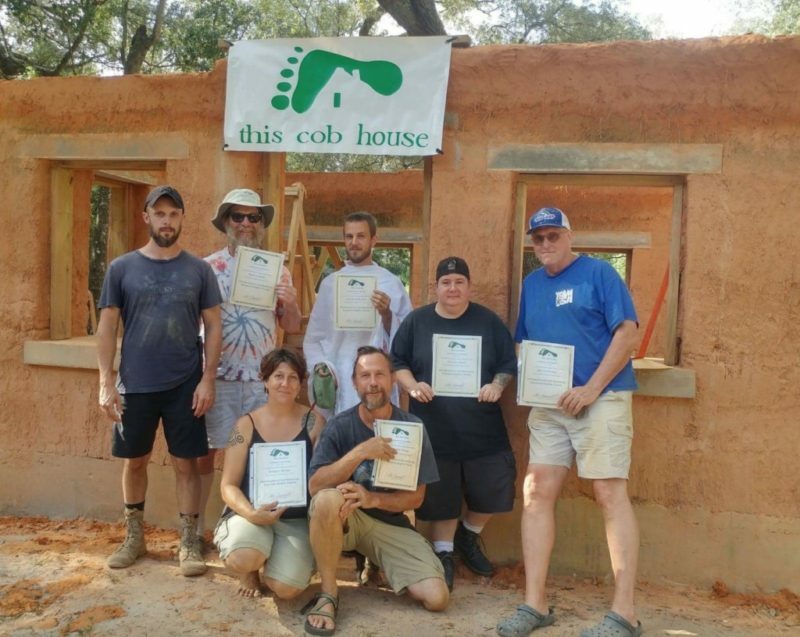 We will focus on building and finishing cob walls with earth and lime plasters. We will also work with round-wood carpentry, earth floors. Expect a rich week of natural and community building with the group. We’ll work, learn, eat,and relax with one another in a positive, hard-working, fun atmosphere. Conversation on natural building will provide constant background chatter throughout the week. We’ll work on-site every day with a scheduled mid-week rest. Evenings are unscheduled so folks have time to enjoy the site, explore quaint nearby towns, or relax around the fire. 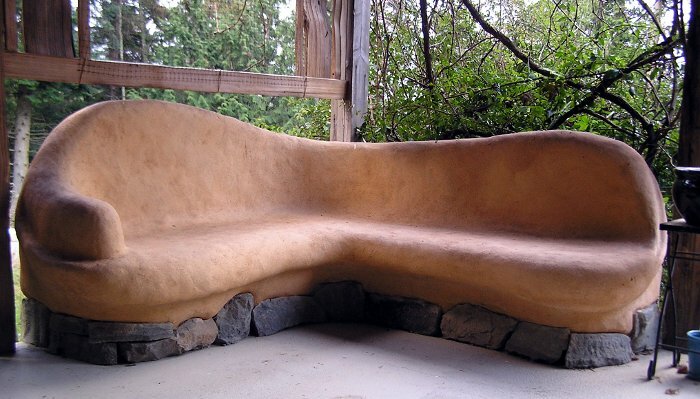 Heart Song Sanctuary is a beautiful 45 acre property with two completely finished natural buildings. The site features many acres of woods, a cleared meadow, swimming creek and pond. Accommodations for camping include an outdoor shower, compost toilet outhouse, and a fire pit gathering area. Three meals daily, cooked on-site by staff. Food is mostly vegetarian with a vegan option. Many of the ingredients will be sourced from local farms. Please indicate any food allergies upon registration. Heart Song Sanctuary is located at 658 County Rt. 6 in High Falls, NY. Campers are welcome to arrive Thursday evening between 4pm-7pm. Arriving the night before the workshop begins is highly encouraged but not necessary. Tuition: $650 includes a week of camping, workshop experience, meals. Mail your tuition check to the address below and we will confirm your registration via email.